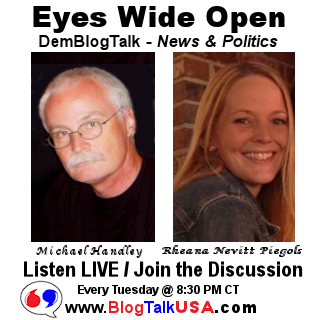 On our Tuesday evening BlogTalkUSA.com program this week, my co-host Rheana Nevitt Piegols and I first talked with Kenneth Sanders, who is the African America Outreach Director for Senator Bernie Sanders' Texas campaign for the Democratic Party's presidential nomination. Kenneth gave us his perspective on why so many volunteers across Texas are flocking to work for the Sanders campaign. In the next program segment, Rheana and I talk with Celia Morgan, President of Texas Young Democrats and Vice-Chair of the Young Democrats of America Labor Caucus. Our other guests Tuesday evening for a round table discussion on how Young Democrats across Texas and American are engaging in the political process were Collin County Texas Young Democrats President, Kevin Numerick, and CCYD's founder and past President Michael Messer, who is running for Collin County Justice of Peace. These three young Democrats - actually, four, counting Rheana - engaged in a smart and insightful discussion on politics in Texas and America today. (starting at the 31 min mark on the podcast.) You don't want to miss listening to this week's podcast.